Please contact the club membership secretary Martin Lynn, attend a monthly meeting or speak to someone down at the flying field to obtain further details about joining the club. Pontefract & District Aeromodellers (PANDAS) is a BMFA affiliated club and as such, all members have to be a member of the BMFA. The club and BMFA subscriptions run from 1st January to 31st December. The BMFA membership includes 3rd party public liability insurance. You can complete your BMFA membership online and then request through the BMFA membership portal, to be added as a member of PANDAS. If you do not have regular access to a computer or printer, the PANDAS club membership secretary can obtain, your BMFA membership for you. Once you have completed your BMFA membership or if you already have BMFA membership, please complete the PANDAS membership application form. 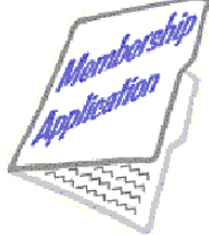 All membership applications are at the sole discretion of the committee and new members are subject to a 6 month probationary period. JOINING FEE (except juniors) To be paid by anyone who was not a 2017 member.